Are you ready for Halloween this year? Have you put a lot of effort into your costume? Well it would take an extraordinary effort to beat this Buy Buckets customer. 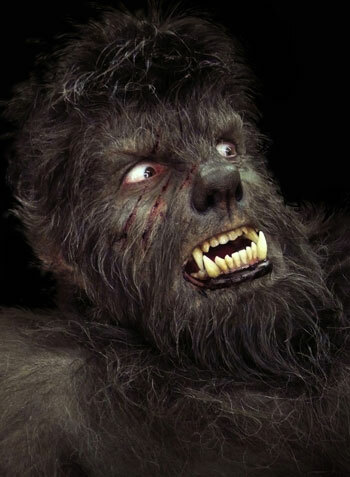 They use hyper-realistic prosthetics make up to bring favourite characters from blockbusters like Harry Potter and The Wolfman to life. BGFX Ltd is a specialist makeup and prosthetics company based in south east London. Run by husband and wife team Barrie and Sarah Gower, the Emmy Award winning company has worked on some of the biggest British-based productions in the last few years. Graduating from the London College of Fashion with a HND in specialist make-up, Barrie started off working for the BBC on shows including Red Dwarf and Silent Witness. Since setting up BGFX he has worked on huge blockbusters including The Iron Lady and some of the Harry Potter films. Sarah also comes from a visual effects (VFX) background. Having first worked in Jim Henson’s Creature Shop, founded by puppeteer and creator of the muppets Jim Henson, Sarah has gone on to work for Disney and on films including X-Men First Class. She also co-ordinates all of BGFX’s projects. BGFX orders a variety of plastic containers from Buy Buckets, particularly our range of clear plastic food-grade containers. Sarah said: “We use the buckets to mix up batches of coloured silicone that we use to pour make-up appliances with. So, for example, we’ll mix up one batch of flesh coloured silicone that we’ll use for one particular character and then store it in buckets so we can get a consistent colour.